07/Mar/2012 Wakeboard UK HQ, UK - Team GB was in action during February 2012 at the 12th E&A Wakeboard Boat Championships 2011, held at Emerald Resort, Vanderbijpark, South Africa. With two gold medals and two new European & Africa Wakeboard & Wakeskate boat champions in Open Men Sam Carne and Junior Ladies Charlotte Millward the event was a tremendous success for team GB. 120 + riders from 18 countries attended the event. Although being held out of season for most of the northern hemisphere riders attending, the performances on the water did not suffer. Although challenging to many riders, due to this being the 1st time they had ridden since the long winter lay off, they showed their professionalism collecting a further three medals to add to the team GB medal haul with Sam Carne acting as Team Captain for the 1st time . Silver medals for Katie Batchelor in the Girls division and Nancy Creedy in Junior Women proving the GB dominates in the Jr Women divisions. Not forgetting the Boys who were not to be out done - Harry Eames, attending his 1st ever international boat competition, finished with a podium finish in 3rd with Thomas Dâ€™Cruze finishing in 7th place and Jefferson Haddon finishing 9th place. 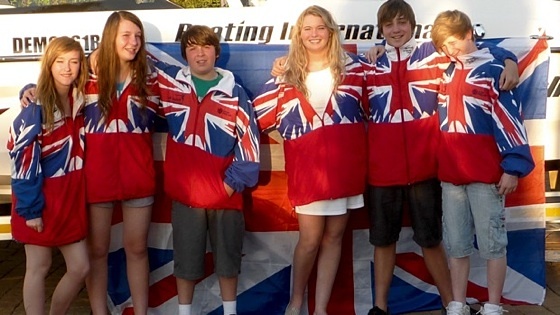 Team GB now look forward to the 2012 season with nationals dates sent for 30th June and 14th July and the 2012 E&A Wakeboard Boat Championships to be held at Kiev, Ukraine in August 15-19. Full results for the competition can be found on the IWWF Website.